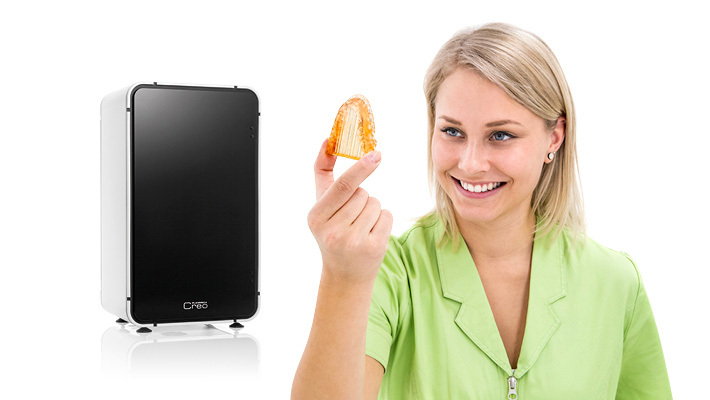 Planmeca Creo is the new 3D printer that is designed for creating dental objects such as dental splints, models and surgical guides precisely and efficiently. Dental practices and laboratories are free to print objects from different design software with an open interface for STL imports, using Planmeca Creo – a powerful 3D printer. It is envisaged that soon Planmeca Creo will also support the creation of other dental objects of intricate detail, such as temporary fillings and orthodontic models. Digital Light Processing (DLP) technology is employed to create objects out of UV curable resin and completes Planmeca’s seamless digital workflow.